The GUTDADDY Field Dress Kit takes gutting a deer to the next level. 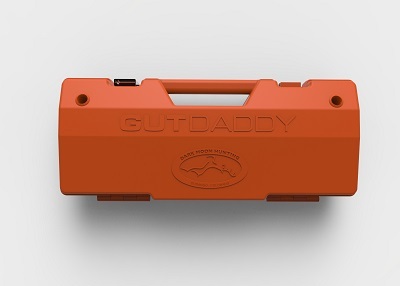 Make field dressing your deer a one-person job with the GUTDADDY. This portable folding case easily converts into the perfect gutting device with upright posts that secure the animal in the ideal position and rib hooks that open up the animal for optimal gutting. Secure the animal's front legs for optimal cutting position and stability. The GUTDADDY is field-proven to make it possible for one person to set up the device and gut a deer in less than 5 minutes. Designed with the goal of safety first in mind, the case and posts work together to secure the animal in a way that keeps the hunter safe by keeping other hands away from the animal and out of the cavity. The GUTDADDY is perfect for teaching young ones great habits in the field when it comes to field dressing. 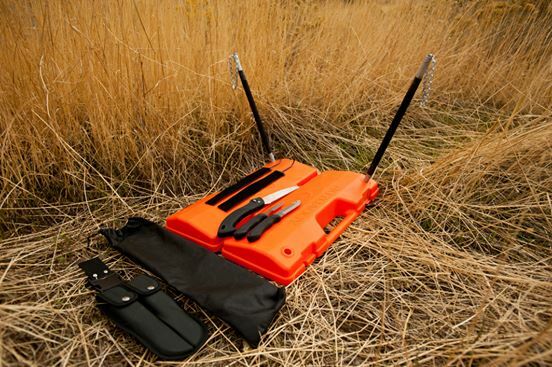 This patented portable case contains gutting knives and saw, two poles with leg grasping chains, rib hooks to open up the deer, and a Field Dressing How To Guide. 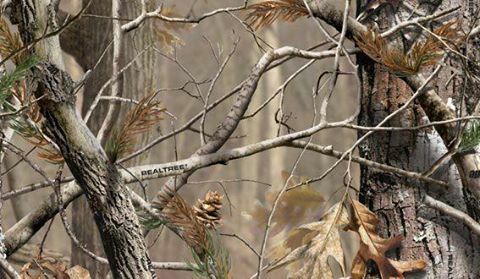 This all-in-one-solution is a must have for any hunter who wants to make gutting a deer safer, faster and much, much cleaner. As a special thank you for your support, we are including a free knife sharpener with all purchases! The latest accessory to complete your ultimate field dressing kit is here. Introducing the Black GUTDADDY Knife Set. Made from some of the highest grade stainless steel and comfortable rubber handles, this set comes with one Small Knife, one Hook Knife, and one Folding Saw. Each knife is stored together in a durable, nylon scabbard. 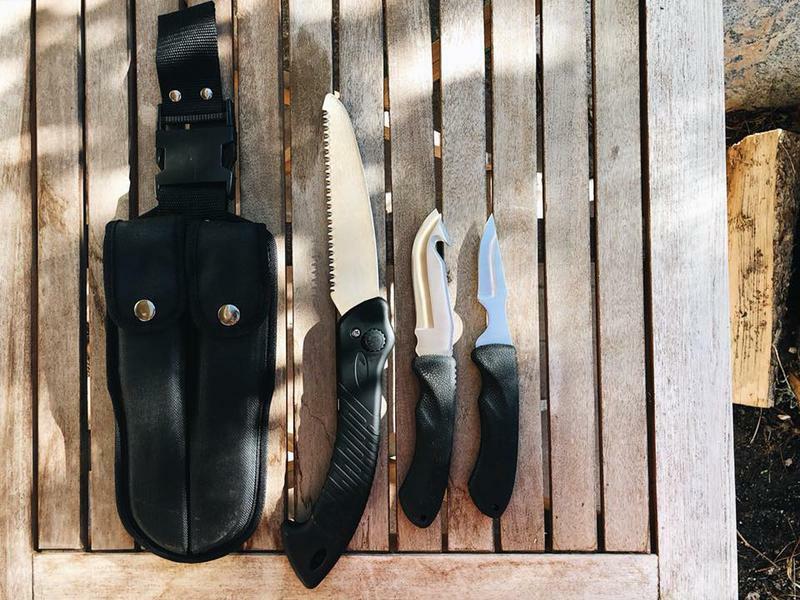 With an endless list of uses, the GUTDADDY Knife set will never leave your pack or truck. 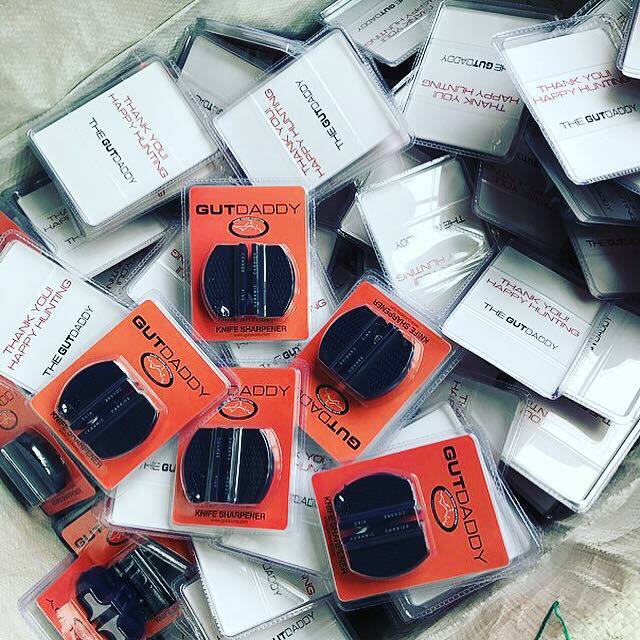 Compact and easily stored in the smallest compartment of your pack, this GUTDADDY sharpener features two options - Coarse & Fine. Another must in your ultimate field dressing kit.